You have endless possibilities of types of information you can share through infographics and many ways to format this type of content. One great option is to design map infographics. While that idea may seem limited to specific industries, it’s actually something any industry and business could use. A map could show different costs in an industry throughout the country or world, the locations where a company’s materials are sourced from, political sentiments in different regions, and other interesting information. When you can get in the mindset of how a map can relate to your business, you’ll find ways to incorporate map infographics into your overall content strategy. 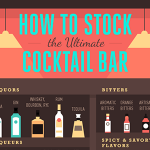 If you’re interested in this type of infographic, the next step is to learn how to make it happen. The point of map infographics is to convey information that’s based on locations in a visual format that’s easy for people to read, understand, and engage with. Just like with other types of infographics, you want to come up with a story that has an interesting angle, in this case, a location-based story. Brainstorm ways that maps could be part of your brand. Of course, this is easy for some brands and industries that base their businesses around various locations. For instance, real estate firms, travel businesses, and logistics companies would have no trouble sharing a story related to their business that incorporates maps. Nonetheless, other business types could use this form of infographic as well. For example, a restaurant could create a map infographic on where its food is sourced from, while an e-commerce website could design one that illustrates its business hubs, its main areas of export, or other relevant information. The key to your map infographic is to come up with a topic that incorporates places. Think about how locations come into play with your business. Do you partner with organizations in certain areas, has your company’s inspiration come from specific countries, or does your business support charities in specific places? You could come up with other angles as well. For instance, you could show information about the city or state where your business is located and find a way to connect that information to your brand. A brand that sells organic products could show a map of organic farms in the state where the business is based. An infographic could potentially go further to show the steps the ingredients take from farm to product. Make sure that your topic matches your brand and tells a story about it. Your map infographic should fit your marketing goals, so the topic should fit and stay on track throughout the content. Once you have your topic, you’ll know more about how to design the graphics. When you have information you want to share that incorporates different countries, you can create a global map. Otherwise, your topic might be based on a single country or region, or it might have a more local focus at the city, state, or county level. You may even want to create a map of your corporate campus. 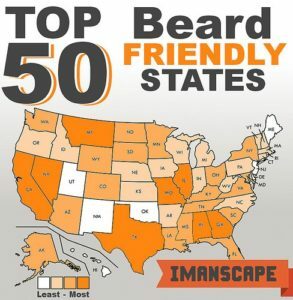 You should generally use one map per infographic. Exceptions could be if you’re comparing maps within your topic or you want to show patterns within a broader area and then home in with detailed information on a specific area. For example, your infographic might include a map with patterns throughout a continent and then also show a map that homes in on those patterns in a specific country within that continent. You can use tools such as borders, location names, labels, different colors, and color gradients to mark different sections of the map. Most map infographics show map charts or map diagrams. The map charts can have markers that you explain through a legend or through separate graphics on the infographic, or they can include layers that share text information over the map. The following is an example of a simple map chart that uses color gradients to distinguish information about each state of the United States. Otherwise, you could create a map diagram that shows how something works within a location or across locations. This type can simplify complex information to make it easier to understand. 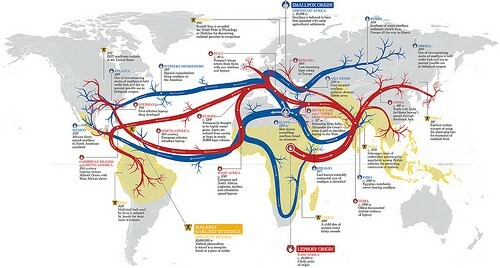 The following is an example of a map diagram which shows the origin of smallpox and how it spread across the world. Infographics are great because they allow you to play with different techniques within the same piece of content. 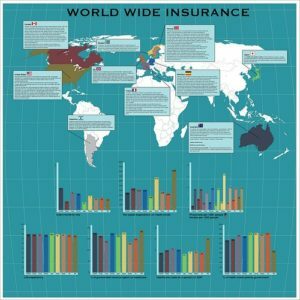 So you could create an infographic that is entirely made up of a map, or you could have an infographic that uses a map along with other ways to illustrate components of the same topic. 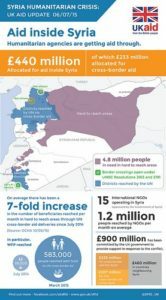 To show a company’s humanitarian efforts around the world, an infographic could share a map highlighting places that are helped and also have a graph showing the number of people in each country that were given aid, and so on. Also, simply follow best practices for all types of infographics. You can use many of the same principles with a map infographic as with informational, timeline, comparison, and other types of infographics. 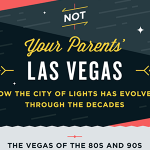 The key is to come up with the story you plan to tell with the infographic. Will it focus on your company’s local area, a large region, or the entire world? Will the infographic focus on the places themselves or certain patterns that are seen within a place/places? Let’s take a look at examples that help illustrate some of these ideas. The following map is an informational infographic that shares information about the healthcare system in specific countries throughout the world. Because it talks about multiple countries, it shows a world map. It uses color to designate each country it wants to focus on and includes text within layered boxes. You can see that a line directs the eye from the country to the text box so you can easily notice which information corresponds to which section of the map. The following map is a bit different. It breaks down the results of a survey on a specific feature, “People Spots,” within the targeted location of one city, Chicago. 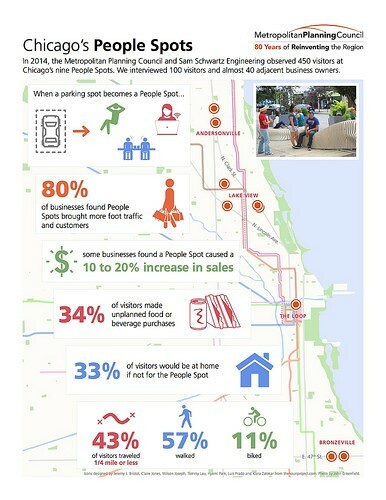 This map layers the data over the map while using icons to point out the “People Spots” located throughout the city. The information does not specifically correspond to each location but provides overall data. 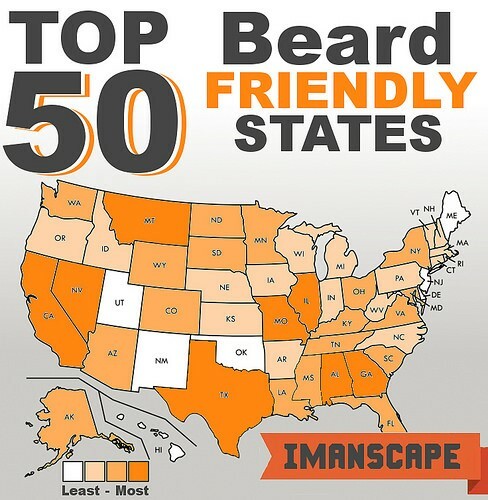 You could use map infographics in fun and creative ways, such as the one above that focuses on beards. Or you could create ones that help break down data and complex information into a simple and visual format that is easy to understand. Are Interactive or Static Maps Better? An interactive map would have the visitor click, scroll, or otherwise interact with the map to gain access to different information. Maybe they need to click an icon before they learn the associated fact about that location. The static map, on the other hand, would show all of the relevant information from the start, similar to a poster or image. While interactive maps may initially seem exciting and engaging, the fact is that they don’t always work. They have certain inherent problems that don’t particularly mesh with the benefits of an infographic. What are some of those problems? Extra Work: People looking at infographics tend to want to absorb key information as quickly as possible. When interaction is required to gain that key information, people may not take that extra step and extra time involved. Missing Key Information: Whether because of the extra work involved mentioned in the previous point or because the visitor doesn’t notice an interactive element, it’s too easy for someone to miss a portion of the information. That means that the infographic is not effectively conveying everything you want it to. 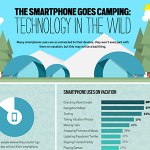 Mobile Responsiveness: Consider how people are engaging with infographics. They’re often checking them out on a mobile device rather than a computer. This can make interacting more difficult, on top of potential problems with the ability of interactive elements to work seamlessly across various devices. Also, the interactive types are more expensive to create. 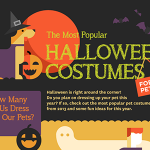 In the end, 85 percent of people visiting the infographic don’t use the interactive elements. That said, interaction sometimes works and you might want to try it if you think it could fit your audience and their goals. 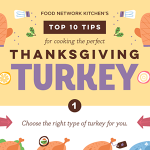 It might help your infographic stand out and gain attention, in which case the interactive element could be successful. You may want to try both types and see which works best for your brand. Otherwise, keep it simple and stick to the static type in general. Should I Hire an Infographic Design Agency? Once you decide to create map infographics, it’s time to figure out whether to create them yourself or go through an agency. This answer will depend on the resources you have at your disposal and your goals and needs. If your business has a team of various creative professionals on staff, it might make sense for you to create them yourself. In essence, you have the tools you need. Alternately, it’s possible to have someone on your team create one with an infographic tool. On the other hand, if you’ll need to find a writer to create the written content for the infographic, a designer to put it together, and maybe someone to help with the strategy behind it, it might make more sense to hire an agency. An agency that provides infographic services will already have the creative professionals needed for every stage of the creation and promotion process. An agency can generally provide a higher-quality finished product and can offer extra services, such as research, strategy, and promotion. Agencies tend to partner with top-notch creatives that are capable of designing a more professional end product. Other considerations are your budget and your goals. If your business doesn’t have much of a budget for infographics, you may need to start by creating them yourself. Nonetheless, it’s worth weighing the cost of the time your staff members will spend creating the infographic rather than focusing on other work and the return on investment of what you could achieve with a stellar infographic rather than a mediocre one. You may find that investing in an agency is completely worth it for the goals it could help you reach. Further, if you’re planning to create one infographic, it may or may not be worth hiring an agency. But if you plan to consistently create top-quality infographics, an agency could take over that workload for you and provide high-level work that contributes to your brand’s reputation. And by working with the same agency time and again, you can ensure that the team understands your brand’s goals, strategies, and preferences each time to streamline the process and provide maximum results. Map infographics provide a great way to share location-based information in a way that’s easy for people to absorb. You can stick to this type or incorporate it into a broader content plan with an array of infographic types. No matter what type of business you have, it’s possible to find a topic that fits the map format while furthering your marketing goals at the same time.